Wales could be ceded to the Republic of Ireland under new Brexit proposals leaked to The Ulster Fry. 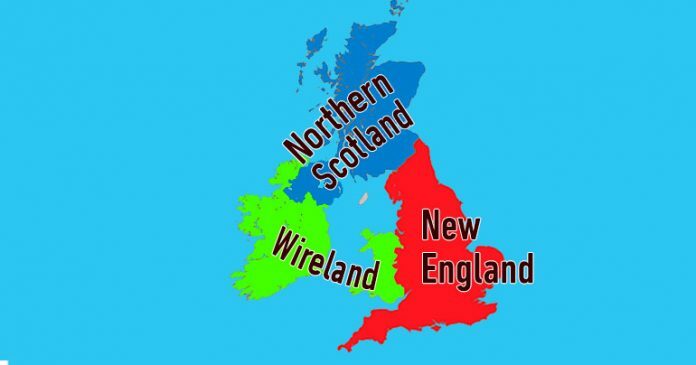 If the deal comes to fruition, the Republic will get Wales, Scotland ends up stuck with Northern Ireland and England will join America. “We are not amused y’all,” said new US President, Lizzie-Beth Windsor.